If you had to haul 10 African elephants across Western Canada, we could make it happen. We’ve hauled all sorts of things beyond equipment and vehicles: if we can get it on the truck, we’ll haul it. Whatever the load, you can find peace of mind knowing that our operators will take the best care of it. All of our operators are long term, and over their years have accumulated the expertise to tackle loads of all shapes and sizes. We live, sleep and eat ​towing​: let us take the load off your back. From out of town? 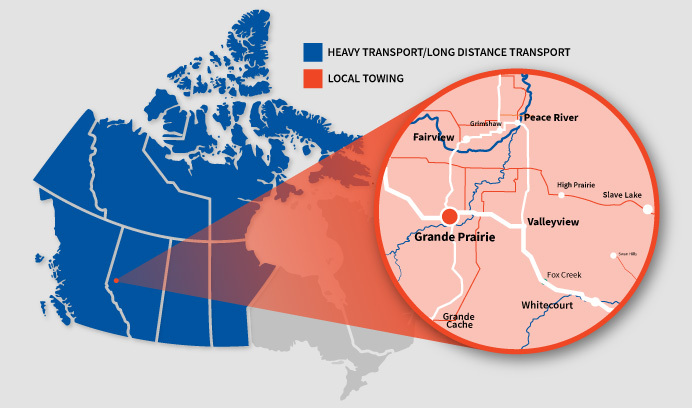 Our secure storage facility will keep your vehicles, equipment and cargo protected in Grande Prairie until you can retrieve them. Call us now for your specialized load hauling. 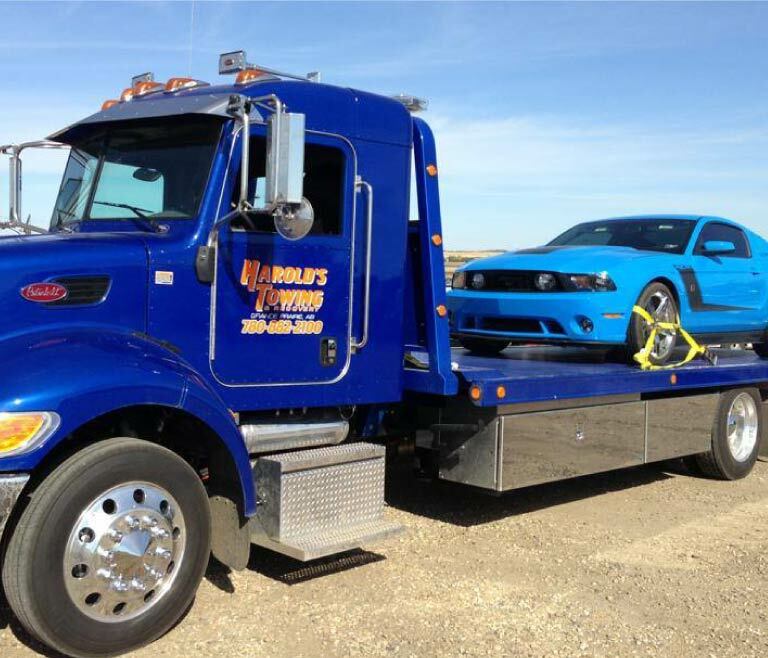 When your vehicle can no longer haul cargo due to a breakdown or accident, our team can take care of that load. Trust your load of lumber, steel, equipment or almost anything else to our professionals.